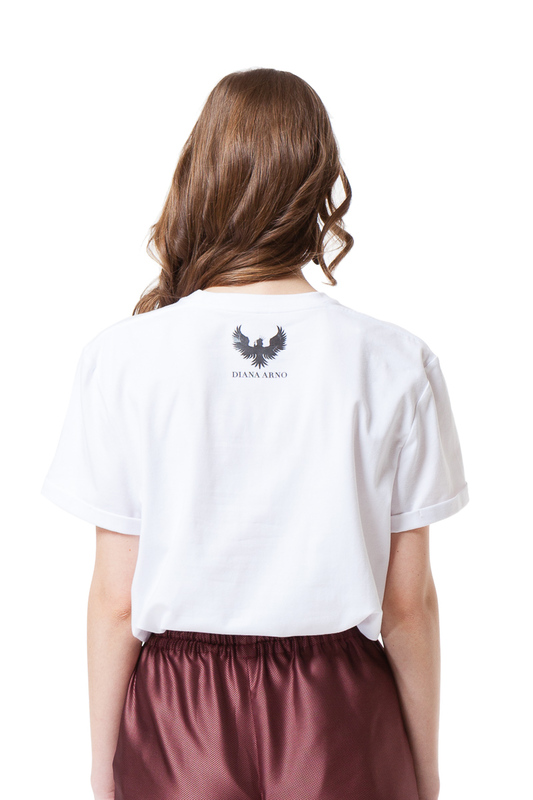 White crew neck T-shirt with DnA logo, rolled sleeves and a logo at the back. Designed for an oversized fit, feels soft and lightweight with the right amount of stretch. Available in ONE SIZE only! This T-shirt fits comfortably all those who are between sizes XS to L and suitable for all body shapes. Wear it with a pair of jeans, elegant pencil skirt or a comfortable pyjama suit from our AW 18/19 collection.